"In a mudroom, a bench is a great place to change into boots and then store shoes underneath." Stylish and versatile, this bench harmoniously gets to work as a coffee table or footrest and could be pulled up for a friend at a cozy drinks party. 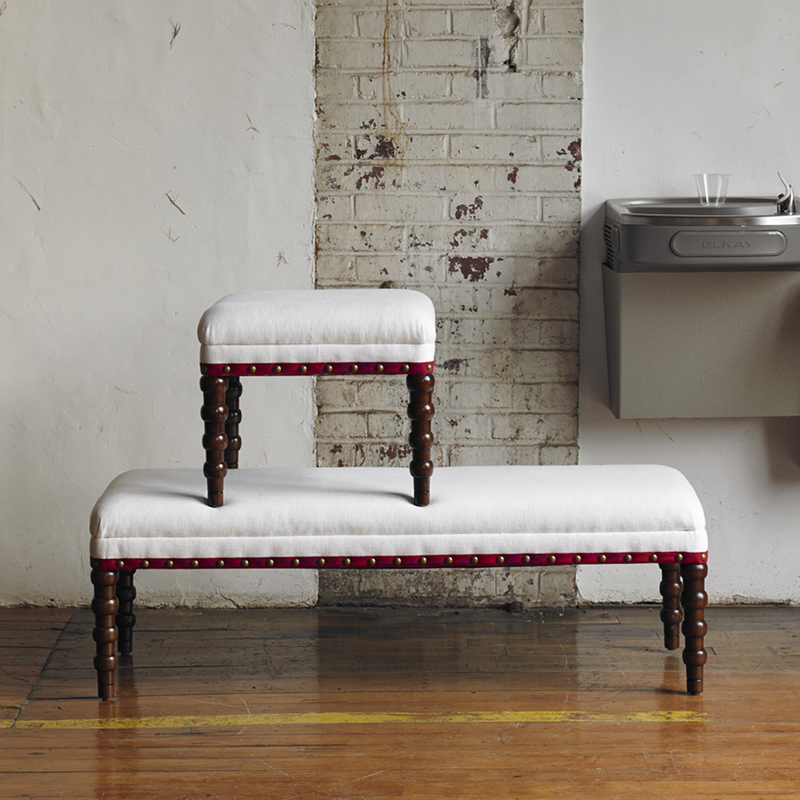 The handcrafted maple base showcases the graduated cuffed legs and the striking ruby red ribbon - a detail that really makes this hard working bench stand out. Kiln-dried solid maple frame with double-doweled joints and corner blocks for superior strength. Eight-way hand-tied coil spring suspension with a solid webbed base. Cushions are plumped with standard fill (down, feather and foam for softness with underlying support). Minimum 2 yards COM or 25 Sq. Ft. required. Red tape included unless specified (2 yards required otherwise). Delivery lead time is approximately 6-8 weeks.